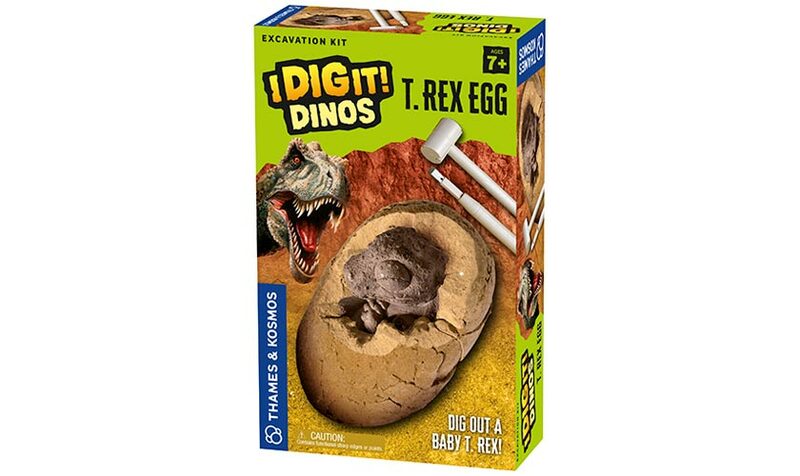 Excavate a realistic replica of a fossilized baby Tyrannosaurus rex, just like a real paleontologist. 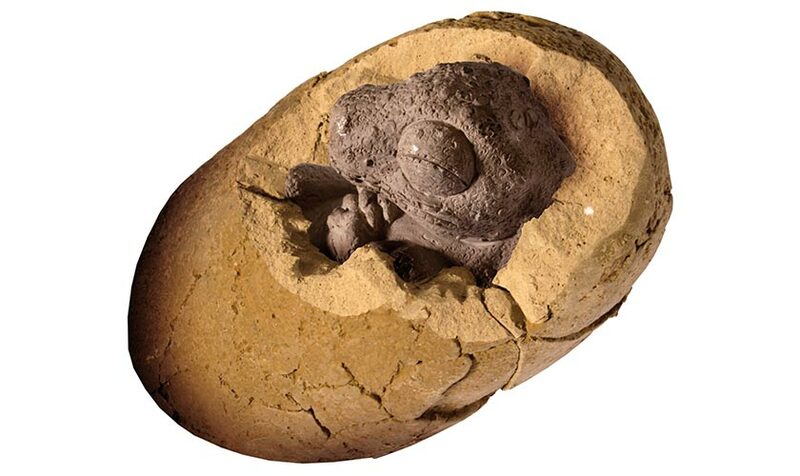 Use the hammer and chisel to dig the baby fossil out of an egg made of soft plaster. Like a real researcher, you will have to work carefully and methodically. 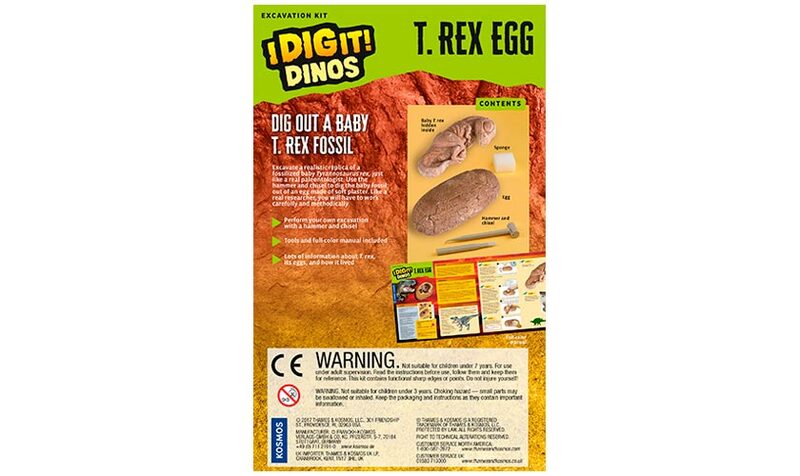 The kit includes the baby dinosaur replica buried in an egg-shaped plaster block, excavation tools, and a descriptive manual.